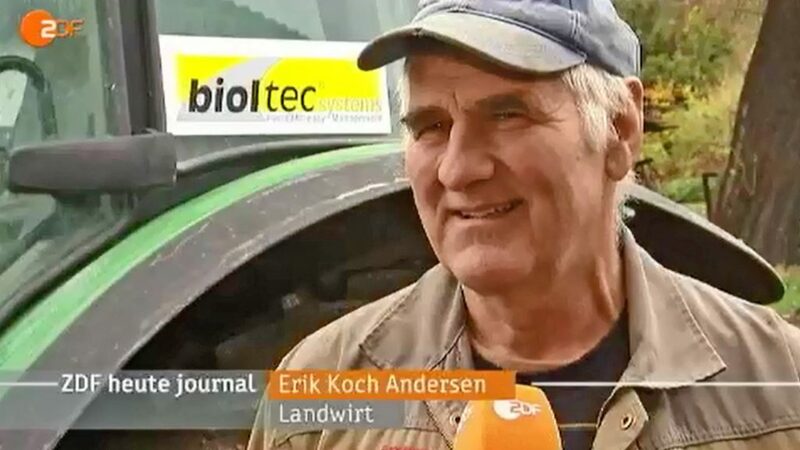 bioltec converted a John Deere tractor to be operated with rapeseed oil on the island of Samsö, Denmark. Samsö received global accreditation as an Energy Island: it is self-sufficient and carbon neutral. The TV show „ZDF heute journal“ was widely reported in 2009, as part of the World Climate Conference in Copenhagen. Know-how in research and development was transferred by bioltec to the academics at the Institute of Technology of Paraná in Curitiba, Brazil (TECPAR). 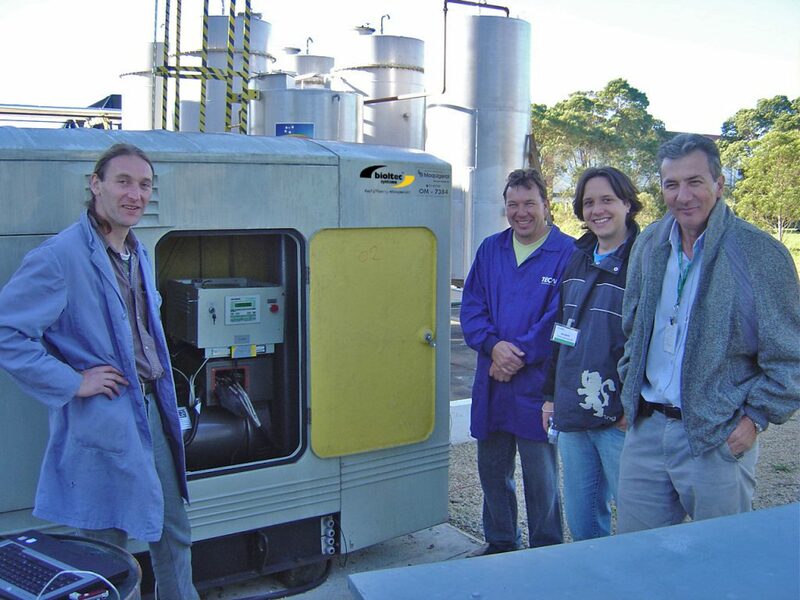 For this purpose, stationary application engines equipped with bioltec technology were used for studies on domestic vegetable oils, which were subject to very detailed performance tests. 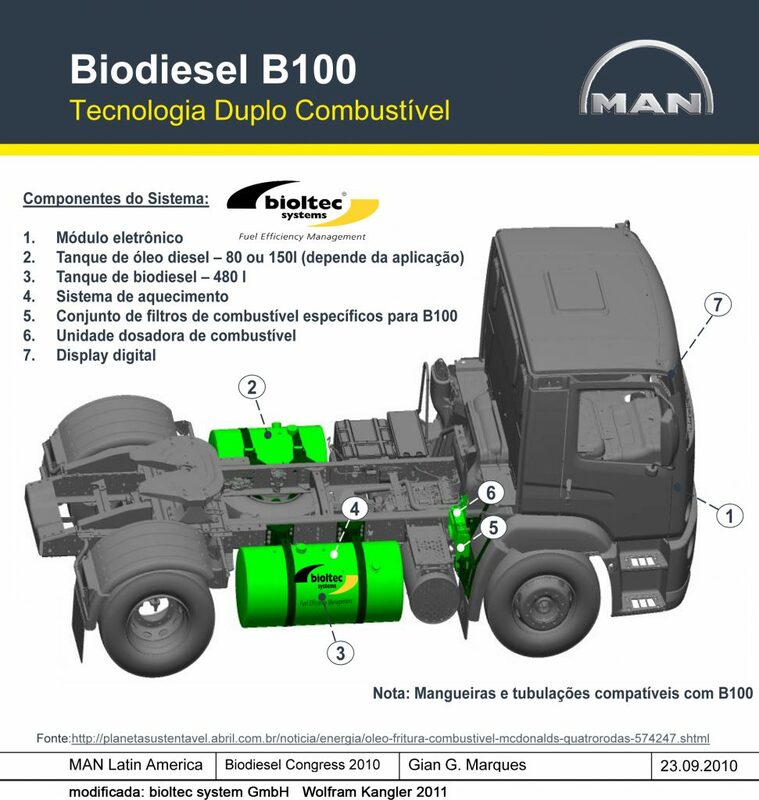 bioltec was an exclusive collaborator in a fleet test of VW do Brazil/MAN Latin America (Resende, Sao Paulo, Rio de Janeiro) for the adaptation of engines for fuel based on UCO (Used Cooking Oil). Multinational companies such as Coca-Cola and McDonald´s provided test vehicles. 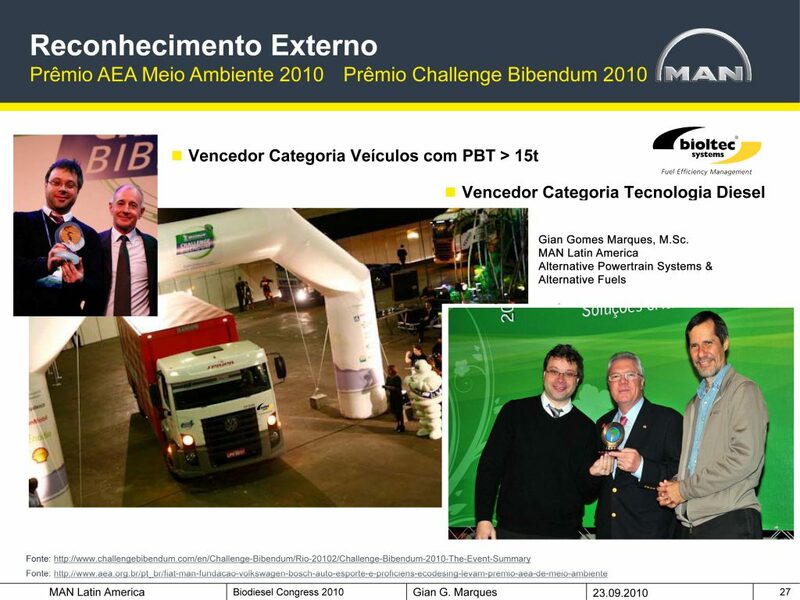 This project received the AEA Environment Award 2010, promoted by the Brazilian Association of Automotive Engineering. A VW Constellation 17.250 truck with bioltec system, supplied with the B100, obtained the best classification in the Michelin Challenge Bibendum 2010 „Rallye for sustainable traffic” in Rio de Janeiro, in the categories energy efficiency (fuel consumption), lower level of carbon dioxide emissions (CO2), and driving ease and acceleration. 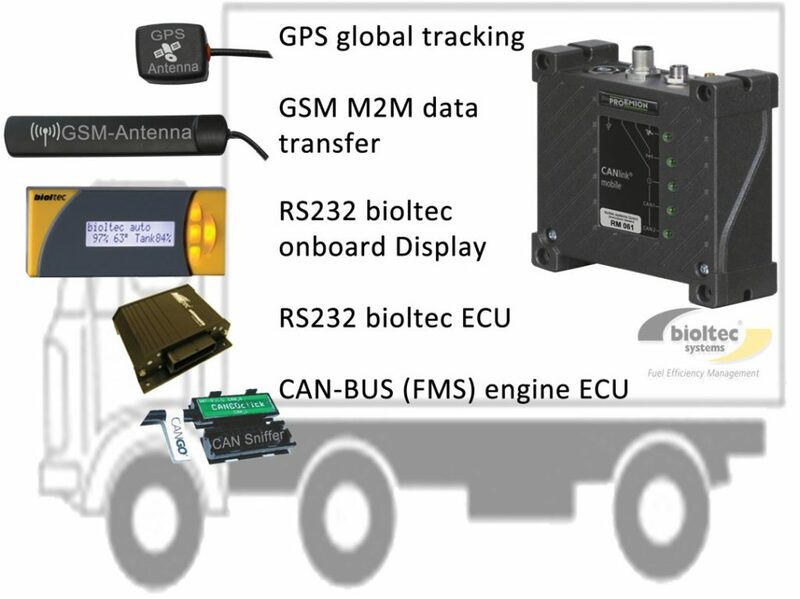 In the Low Carbon Truck Trail (United Kingdom) bioltec technology as well as bioltec know-how was applied. bioltec was decisively involved in the knowledge transfer to the University of Leeds as well as to stakeholders in the fuel use process (quality of the fuel of the producers and fuel management by the drivers). 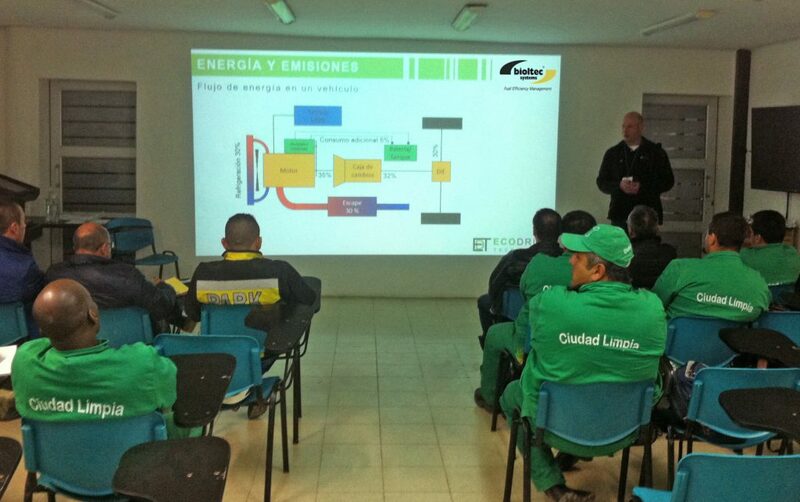 bioltec starts working on optimizing fuel use in fleet vehicles in Colombia. bioltec and Ecodrive S.A.S., based in Bogotá, have worked as a team on the development and implementation of a telemetric systems for vehicle fleets, resulting in considerable savings in a fleet of 50 vehicles (Ciudad Limpia Bogotá). With bioltec telemetry, the driving behaviour and the workload of the drivers are monitored and evaluated together with fuel consumption and the technical condition of the vehicles. In this way, the optimal training potential for drivers and managers is achieved. 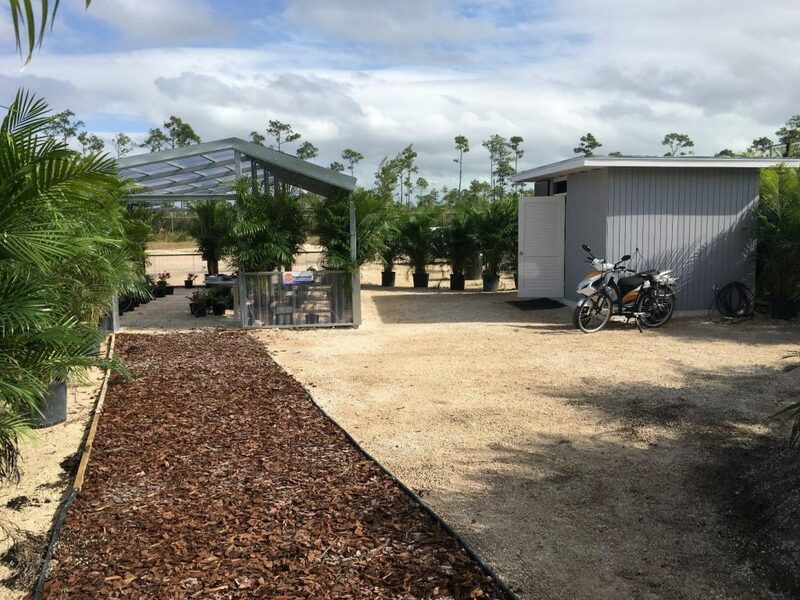 Development and Realization of the Hybrid Center Concept.